The Quebec government has tabled a bill that would require every gun in the province be registered. The Quebec government's new proposal to create its own long-gun registry from scratch is being heralded as "good news" by a survivor of the 1989 Polytechnique massacre. Bill 64, the Firearms Registration Act, would require that all firearms in Quebec be registered. Heidi Rathjen said Bill 64 reflects the consensus of Quebecers. "[Quebecers] have very clearly demonstrated through polls, through unanimous motions in the National Assembly, through the solidarity we've witnessed on the 25th anniversary [in 2014 of the Polytechnique shootings] that all firearms are potentially dangerous, that there's a place for their legitimate use in our society, but this use must be done in a way that protects public safety," Rathjen said Thursday. The proposed legislation comes more than eight months after the Supreme Court of Canada ruled the federal government could scrap data collected from Quebec gun owners. Public Security Minister Pierre Moreau presented the highly anticipated bill three days before the 26th anniversary of the Polytechnique shooting. Several survivors and loved ones of victims, many of whom have been fighting for years for tighter firearm restrictions, were present in the National Assembly as the bill was presented. MNAs stood and applauded after Moreau introduced the group watching from the gallery. The proposed legislation would require every gun owner in the province to apply to the ministry to register all firearms. Anyone who settles in Quebec would have 45 days to apply. Each firearm would be assigned a unique number by the ministry, and owners would be required to "affix it to the firearm in the manner prescribed by government regulation." The penalty for an individual failing to register a gun would be a fine ranging from $500 to $5,000. Moreau said owners will have 12 months to register their firearms once the proposed bill becomes law. He estimated there are 1.6 million long guns in Quebec. It is estimated 95 per cent of guns in the province are long guns. 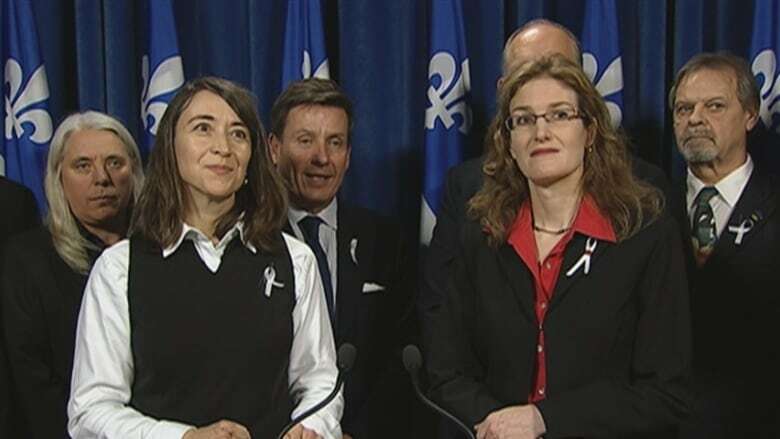 At a news conference afterwards, Moreau said it's a "good day" for Quebec society. "This reflects the wishes of a great number of Quebecers," he said. 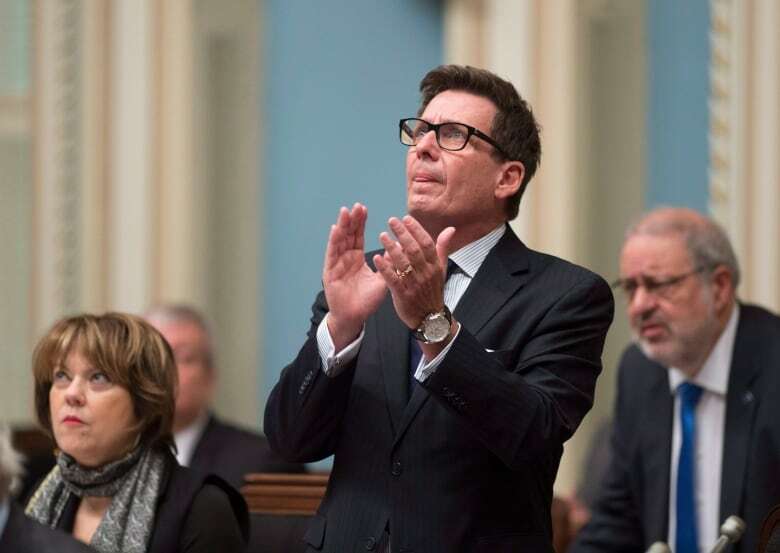 Quebec Interim Public Security Minister Pierre Moreau applauds survivors of the Polytechnique massacre as he introduces them, before tabling legislation for a proposed provincial long-gun registry on Thursday. (THE CANADIAN PRESS)Moreau said the proposed gun registry would serve as an "additional tool" that would provide the province's police departments and judicial system with essential information in cases of conjugal violence, among others. "The registry will let them know if there's a long gun present and where to find that gun," he said. Moreau said the proposed registry would cost an estimated $17 million to establish and $5 million annually to maintain. Rathjen and fellow Polytechnique massacre survivor Nathalie Provost said the bill is a welcome development in their campaign for stricter gun control measures in Quebec and across Canada. "We are very happy, but we must continue to be vigilant to ensure that the bill that's adopted is the most rigorous that it can be," Rathjen said. Bill 64 is a first step, Provost said, vowing to continue their efforts to restore a long-gun registry at the federal level. "It's welcome news — we are returning to our place among civilized countries," she said. Quebec had fought to keep the federal data collected after long-gun registry was abolished in 2012 by the then Conservative government. In a split 5-4 decision, the top court found the federal government's law requiring the destruction of gun certificate information was lawful under the Constitution, and Quebec had no right to the data. At the time, the cost of compiling that data was estimated at at least $30 million. In March 2015, then Public Security Minister Lise Thériault said the government vowed it would have its own registry — with or without the federal government. Thériault said the registry was consulted in Quebec 900 times a day by police officers and officers of the court. On Thursday, Moreau said the Quebec government was in talks with the new federal Liberal government to determine what data from the scrapped federal long-gun registry could be rescued, if any. "There's a real openness on [the federal government's] part to collaborate with us and if any information can be transferred to us, they will," Moreau said. Canada's Minister of Public Safety and Emergency Preparedness Ralph Goodale confirmed that the federal government is open to assisting Quebec if it can. "Per our commitment, we will work in partnership with the Quebec government to determine how we may best support their efforts," he said in a statement. Ottawa will not re-establish a federal long-gun registry, Goodale added.